Along with electrical issues, domestic plumbing emergencies are the most ubiquitous residential problems and causes of emergencies. The irony of the whole thing is that all of this can actually be prevented with some local maintenance, but people usually cannot afford to be that vigilant. They are chasing their everyday obligations, jobs and, before they know it, a damaged pipe, a clogged drain or a gas leak threatens to damage their home. In order to, at the very least, develop the most efficient response time in the case of such scenarios, take a look at the troubleshooting for broad domestic plumbing emergencies. Let’s assume that you, as the reader of this article, do not have any previous plumbing experience. In spite of this, each of us can learn a few DIY tricks in order to solve some smaller issues such as clogged toilets and blocked drains. There is a whole market of chemical agents out there that can efficiently take care of the clogs, and you can certainly learn to use a plunger so you wouldn’t have to call in the plumber for every small misstep and waste inordinate amounts of money. However, if we are discussing matters such as a burst or frozen pipes, you should definitely seek out the professional help as soon as possible. In fact, as soon as you notice the leakage that appears innocuous and manageable unless you have learned how to do smaller patchwork yourself, call your designated plumber immediately. Don’t wait. It is really hard to stress how important this is –people tend to push the task of calling the plumber down their emergency lists even when they notice small leakage and, before they know it, their bathroom walls turn into waterfalls and their kitchen is flooded. Sometimes, you may not be able to pinpoint the exact issue in the case of general flooding of the room. 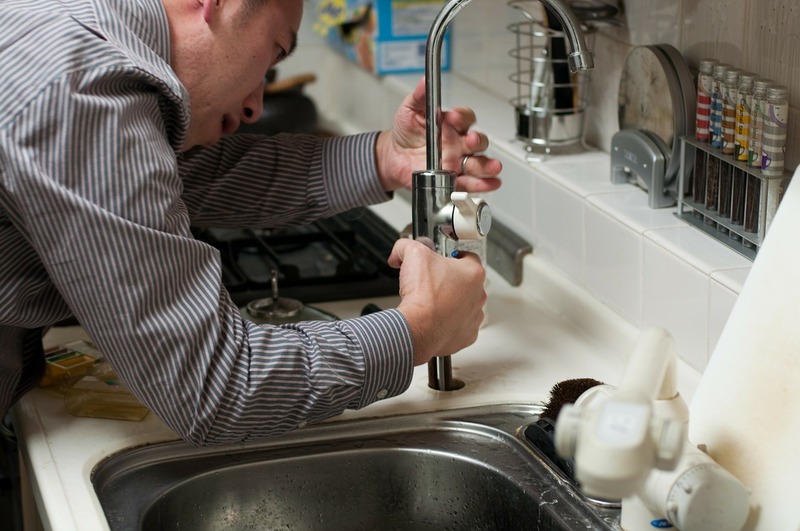 Experienced pros like this Canberra plumber can perform an impressive range of repairs and operational tasks on the spot, which is an invaluable attribute if you are unsure what’s the problem. Take your time to check out testimonials, reviews, visit forums and refer to satisfied customers in order to reliably confirm the expertise of the plumber. It can make a whole world of difference. In spite of the fact that the plumber’s arrival is imminent, there are several things you can do to ameliorate damage or at least confine it. In the case of burst pipes which you have located, the mission is quite simple –stop the water flow by patching up the fissure. The smartest thing would be to tie a rag around it –something that can easily be removed once the plumber arrives. However, it may be a much smarter move to rush to your shutoff valve and close it. The location of the shutoff valve depends from household to household, so as soon as you move in you should make it your top priority to find out where it is located. Turning it off will close the water supply to the entire household, effectively stopping the relentless flow of water. 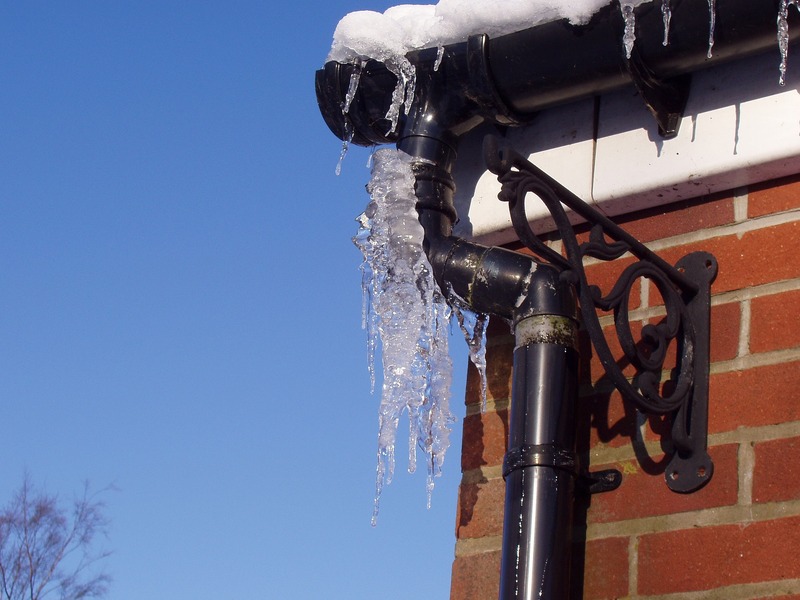 Frozen pipes can be a tricky thing simply because you cannot be sure about the level of damage the icing inside has done to the pipe’s integrity. While it is true that materials shrink when the temperature drops, in the case of frozen pipes it is a whole different matter –the pipes expand due to water’s gradual freezing and the danger of bursting increases. As soon as you notice a section of the piping is frozen, you should (of course) close off the shutoff valve and thaw the pipe with hot water bottles. Remember – the entire process needs to be gradual and don’t use naked flame! You may just cause the opposite effect and burst the pipe anyway due to thermal expansion. In the ideal case, you have already insulated exposed pipes for the coming winter months, but if you haven’t, this task should become your priority after the thawing. Blocked sewer line and damaged pipes from tree roots are the more common types of plumbing problems than you may initially think. Believe it or not, the plant roots are actually drawn to pipes due to temperature and the presence of nutrients, so this type of damage is quite common in the suburbs. If you encounter chronic clogging around the house without a specific and visible source, and you live in a household surrounded by trees, this may be the exact problem you are encountering. Of course, this can only be solved by seasoned professionals. Gas leakage is not only a domestic issue that needs attending, but it can also be life-threatening. As soon as you smell gas, you should alert everyone present in the household or the building and evacuate as soon as possible. No DIY repairs and hands-on approaches will do the job here, only the gas company’s personnel, coupled with the efforts of emergency plumbers, can solve the issue. Just make sure that you have turned off the gas meter and that all electricity (that can cause sparks) is turned off as well. Believe it or not, plumbing negligence is being reported as the number one cause of bigger domestic disasters. Unfortunately, it seems that we prioritize the value of numerous things before we give even a parting glance to our home’s sensitive areas. We all service our cars (at least) once a year, so it only makes sense that we should apply the same practice to our homes. Regular maintenance and checkups can save you a lot of money and an unimaginable amount of time. Learn More About Being a Survivalist. My name is Jack and my blog is a great way to get new and useful tips on how to get your house ready for anything, whether its a terrible storm or a really long power outage. Fire is one of the elements that we need to survive. It has many uses, most likely in cooking.